← Lafonn offers aid to growing jewelry collection obsession! The gem cut defines the shape of a stone and determines whether it sparkles or shines. The cut of a gem is often the first consideration in choosing the proper setting for the stone. The Round Brilliant ~ The Round brilliant is by far the most popular gemstone and diamond shape. The standard number of facets of a Round Brilliant cut gemstone is 57. This is the cut most engagement rings have. The Princess Shape ~ The Princess cut is the second most popular cut shape, next to a round brilliant. The Princess is a brilliant-style shape with sharp, uncut corners. Brilliant style refers to vertical-direction crown and pavilion facets that are wide at the culet and narrowed toward the girdle, the opposite of the pavilion-facet arrangement on a curved-corner radiant. A Princess generally has 76 facets, giving it more brilliance and fire than a round brilliant. The Pear Shape ~ The pear cut is shaped like a raindrop with 58 facets. It is a shape between the brilliant and the marquise. It is particularly beautiful for pendants and earrings. Did you know that the world’s largest cut Diamond, the Cullinan, is a Pear cut? The Marquise or Nevette Shape ~ The marquise 58 facet cut is identical to the brilliant cut as regards the number of placement of the facets, but is more difficult to make. The construction of the facets requires a lot of experience and fragility of the sharp points demands utmost precaution. When setting and marquis gemstone, a significant degree of skill is required from the craftsman. Pressure applied needs to be just right, a higher than required pressure level can cause the pointed corners to break and this means a damaged stone. This is one of the reasons for limited production of jewelry with marquis shaped stones. The Emerald or Octagonal Shape ~ This gem cut is typically a rectangular shaped stone with beveled corners and a smooth, flat crown. The approximate number of facets of an Emerald cut gemstone is 50 but can range up to 58. The Oval Shape ~ The oval’s technique name is “oval modified brilliant”, based upon its shape and modifications of the traditional round brilliant configuration. The oval was invented by Lazare Kaplan in the early 1960’s. 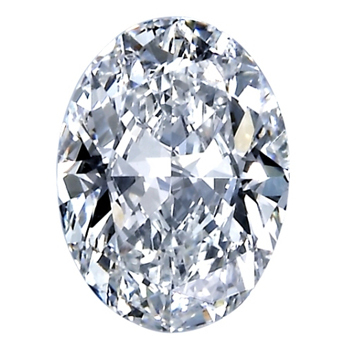 56 facets are typical for oval brilliants, but can be as few as 43. The Radiant Shape ~ This cut is another variant on the rectangular cut. It forms the basis of a whole series of cuts derived from it, such as the princess cut. The Trilliant Shape ~ The technical name for this stone is the “Heart-Shaped Modified Brilliant”, based upon its shape and modifications of the traditional round brilliant configuration. Heart-shaped brilliants typically contain 59 facets. The trilliant cut was introduced by the Asscher brothers in Amsterdam and was later trademarked by the Henry Meyer Diamond Company of New York in 1962. Now that the patent has expired, the term “Trilliant Cut” is used to refer to all triangular shaped gems, even step cut and cabochon stones. The Heart Shape ~ The technical name for this stone is the ’Heart-Shaped Modified Brilliant’, based upon its shape and modifications of the traditional round brilliant configuration. Heart-shaped brilliants typically contain 59 facets. Hearts must be extremely well cut which makes them more expensive because excellent proportions result from a greater expenditure of rough. Understandably, noticeable increases in sales of Heart Shape cut gems occur around Valentine’s Day. This entry was posted in Jewelry, Jewelry Guides and tagged gemstones shape, shapes of gemstones, shapes of jewelry. Bookmark the permalink.